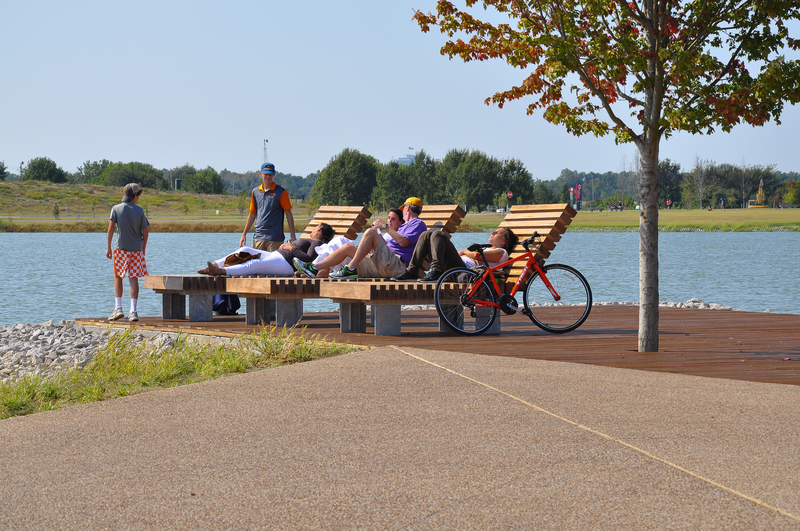 The new Rough&Ready Loungers from the Streetlife Street Furniture collection have been installed in Memphis, Tennessee (USA). These robust loungers are perfect for leisure areas and easily combined with other products form the R&R Range. The Shelby Farms Park is an impressively large park of 4500 acres in het heart of Shelby County. Streetlife delivered products for the Heart of the Park section. 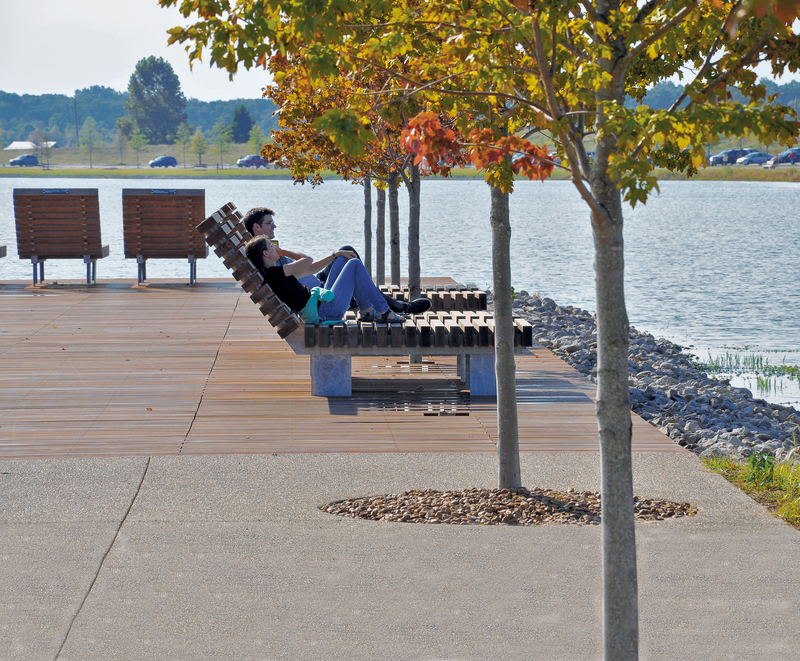 A vibrant area featuring a large lake, walking and biking trails, pavilions, play areas and an event stage, together attracting over one million visitors per year. The Shelby Farms Park is run by a nonprofit organization and is unique in its size within the USA. 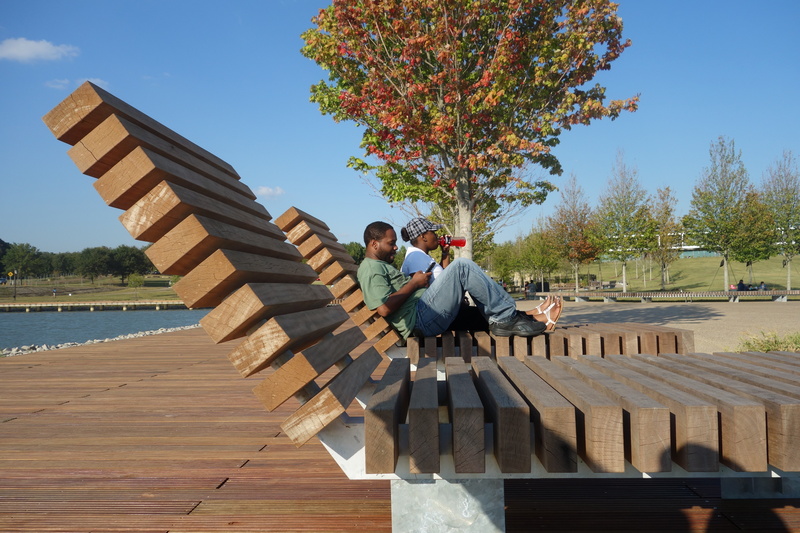 The large scale of the project and open character of the park’s central lake area asked for bold design choices. The Streetlife R&R Range is engineered to have a sturdy and robust appearance. The heavy standardized beams make this product range very suitable for larger scale projects, whilst keeping the detailing refined. The new R&R Loungers are a perfect match for the lake landscape at the Heart of the Park. The Rough&Ready style combined with chaise longue design, makes for a perfect waterside lounger. Because of the harmonious look of the products within the Product Range it is made easy for the landscape architect to combine products with different functionalities. 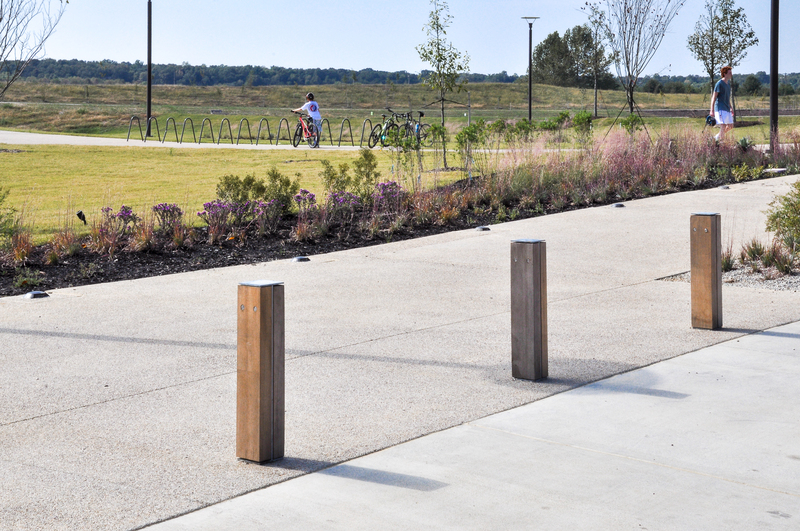 As Streetlife was included in the design process of James Corner Field Operations, it was possible to adapt some of the Streetlife products to a bespoke fit in the Heart of the Park. For example the seats of extra-long R&R curve benches are 30cm deeper than usual. And Streetlife’s classic R&R 6 benches are ‘upgraded’ to R&R 9 benches, with a 90cm wide double seating. 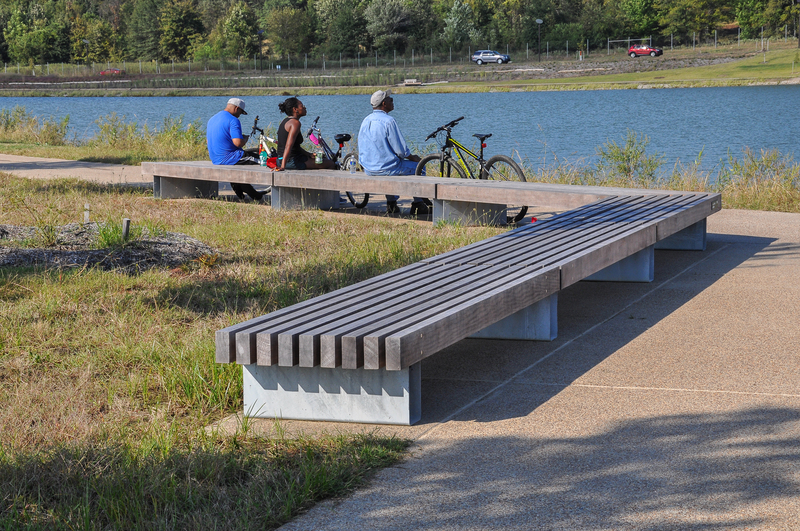 The R&R Range offers a wide variety of products for the public space, from bicycle stands to pedestrian bridges. Find more about the R&R Range on our website and down below in related products.